AdPerk wanted an update from their old site. 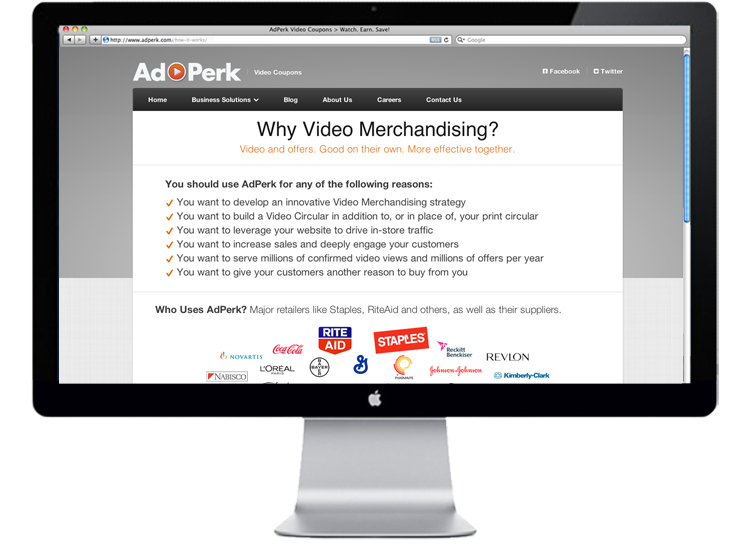 We had a different product and a lot more information about how Video Merchandising works. We wanted to be able to keep the site current with new featured offers and blog posts each month. I worked with the Marketing & Development team to create a navigational system that would work. I created the initial mock-ups with our Company information, then eventually the live site.